ConnectLeader Team Dialer is a cloud-based solution designed to enable sales representatives to make more calls. The application is designed to help increase sales team productivity with call acceleration. ConnectLeader Team Dialer integrates with existing CRM (Salesforce, Oracle, Microsoft Dynamics,NetSuite, Zoho, Bullhorn or custom integration). Team dialers first connect with contacts, then navigate phone trees and operators to get the right interlocutor on the line. When a number is connected, the call is automatically transferred to a sales rep with contact information displayed. Call results and comments can be directly added from this window. Thanks to its CRM integration, ConnectLeader Team Dialer synchronizes call data with the customer database. ConnectLeader Team Dialer comes with remote coaching features that enable managers to monitor and whisper to their sales reps in real-time. I've been using ConnectLeader for my inside sales team for the past 7 months. Overall, I am very pleased with the investment. In a B2B solutions world, it is VERY difficult to get leads on the phone. My inside team was struggling with making enough connections to meet their numbers. ConnectLeader has allowed them to increase their live connections with people by over 500%. Not surprisingly, their overall performance has gone up significantly since using ConnectLeader. The team at ConnectLeader has also been very helpful in proactively making sure we get the most out of our solution. I'm very pleased with the overall level of service. My only criticism at all is not really a criticism, but perhaps an opportunity for improvement. When using the service, you load a couple hundred (or more) leads into the system and they start dialing for you. When they get a connection, it immediately connects your sales rep. But there is no time for that sales rep to recognize the name and determine if they've had a previous conversation. So the rep really is limited to a set script. It would be that much more effective if there was some way to help the rep quickly recognize the connection and the recent history. Like I said, not really a criticism - just the nature of the service. But overall, ConnectLeader has achieved for us exactly what they promised. They connected us with our potential customer base. Broadleaf, a New England based VAR, has been using ConnectLeader for almost a year. We have been very pleased with the service. The ConnectLeader product has dramatically increased the productivity of our sales team. We are now able to reach out to significantly more prospects than we could before using the service. In addition, we have found the ConnectLeader team to be great to work with. They provided thorough training and the ConnectLeader support team is quick to address any concerns. We find that ConnectLeader is very flexible in allowing our salesteam to schedule sessions at the last minute. Finally, I would note that ConnectLeader's integration with Salesforce has made the solution an even greater fit for us. Overall, I'm really impressed with the software. Great UI Very intuitive and easy to use On our hour long test session we did 145 dials and had 14 conversations. Only feedback would be slightly better visibility into what the agents are doing on your behalf, if there was a status to show not only that they were dialing a number but if they're on the phone with the receptionist or that they're dialing through the IVR, so I could see who's potentially closest to making a live connect. Connectleader was a pioneer in giving any sort of feedback so they're still ahead of the competitors but this would just be icing on the cake. As an inside sales person this software has helped me increase my productivity by 100%, It has helped me connect with the correct contact faster as well. no more going through gatekeepers. Cold calling is a waste of time without ConnectLeader. That's it. Plain and simple. Excellent technology; very easy to use; and we get great support from our account manager and the helpdesk. Please contact ConnectLeader for pricing. Visibility & control: With its patented dialing technology, ConnectLeader provides sales teams with visibility and control over the automation process (calls in progress, numbers dialed but not connected, etc.). Custom caller ID: ConnectLeader Team Dialer can display a local caller ID to increase prospects' call pick-up by 30%. CRM integration: ConnectLeader Team Dialer can work independently (with a CSV file upload) or directly integrated with existing CRM to record activity. Real-time : Managers monitor calls pending, in progress or done with ConnectLeader's real-time list scrubbing. Below are some frequently asked questions for ConnectLeader TeamDialer. Q. What type of pricing plans does ConnectLeader TeamDialer offer? Q. Who are the typical users of ConnectLeader TeamDialer? Q. 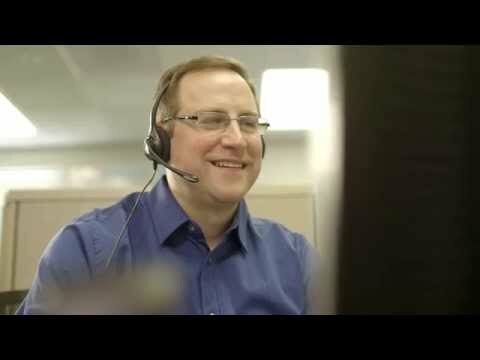 What languages does ConnectLeader TeamDialer support? Q. Does ConnectLeader TeamDialer support mobile devices? Q. Does ConnectLeader TeamDialer offer an API? No, ConnectLeader TeamDialer does not have an API available. Q. What other apps does ConnectLeader TeamDialer integrate with? Q. What level of support does ConnectLeader TeamDialer offer? Q. Which apps is ConnectLeader TeamDialer compared to most often?